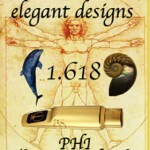 Innovative state of the art design and production, 3D modeling, CNC Multi Axis Machines, Craftsman detailed hand work. Quality Control that only passes mouthpieces that look great, measure great and most importantly play great. That's why we have a 7-point inspection test that every mouthpiece must pass before it is approved including the magnified look test, measure test, pop test, and the all important play test. 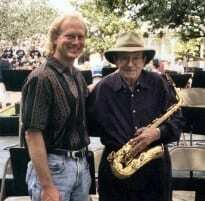 In 1999 Professional NYC Musician/Jazz Educator Jody Espina, met legendary saxophonist and mouthpiece maker Santy Runyon. Runyon ( see Runyon's bio) was the teacher of Espina's boyhood teacher Junie Ferrell. Jody recognized the unique energy and spirit of Santy and Santy recognized Jody's spirit and thirst for knowledge. Santy customized a mouthpiece to Jody's specifications and when Jody was in love with the mouthpiece it was Santy's idea to produce it for Jody and call it the JodyJazz mouthpiece. Word got out about this special mouthpiece and orders started to pour into Jody's New York City location. Although fully occupied as a player and teacher Jody saw the potential in a real business in mouthpieces, and over the next six years travelled to Opelousas, Louisiana, seven or eight times a year. During this time Espina asked Runyon if he could prototype his own metal mouthpiece in the Runyon factory. Santy graciously agreed and gave Espina cartre blanche in the Runyon factory to work out a newly designed mouthpiece. With the indispensable help of Runyon employees Leroy Guilbeau and Blaine Moran Jody developed the ESP metal mouthpiece for all saxophones. During this time Espina's schedule in Louisiana was to work in the Runyon Factory from 6:30 am to 3:30 pm and hang out with Santy (aged 93 to 96) from 4:30 to about 7:30pm. Still Jody was not completely satisfied with his own mouthpieces and all the other mouthpieces that he had tried up to that time. To create a traditional hard rubber round chamber mouthpiece that had the consistency from one mouthpiece to the next that players could rely on. To create a mouthpiece that could produce the power and brightness that a contemporary working saxophonist needs but without sacrificing a big full saxophone sound. Traditional hard rubber ebonite material with the most stringent quality control and the most attention paid to the baffle, chamber and facing. Inspired by the novel The DaVinci Code, this series of mouthpieces use the Golden Mean Proportions found in nature to design a mouthpiece that is in complete harmony with nature thereby delivering the most efficient and enjoyable playing experience to date. With the DVD “The Music of George Garzone and The Triadic Chromatic Approach” Jody created the publishing wing of JodyJazz. 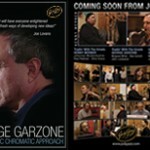 Producing and publishing the first DVD was an organic collaboration with JodyJazz Endorser George Garzone. Inspired by this project JodyJazz will be releasing many new publishing projects in the future. JodyJazz products are available in over 300 music stores worldwide. 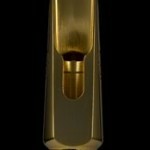 JodyJazz.com enjoys the highest rating* among saxophone mouthpiece companies on the World Wide Web. (*Rating from Alexa.com) As a player Jody knows the importance of intimately knowing the products that he is making and selling that is why in addition to Jody, the JodyJazz crew includes three working professional recording saxophonists. Jody maintains a very busy schedule testing mouthpieces, designing and prototyping new pieces, traveling the world exhibiting mouthpieces and giving clinics on playing and making mouthpieces. 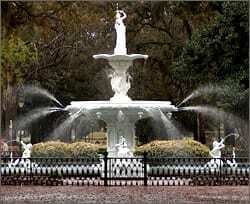 Jody is also very busy raising his young family in Savannah Georgia.